7-week, 5-day/week training plan for Game Wardens, Forest Rangers, Field Biologists, and other natural resource and wildlife professionals. 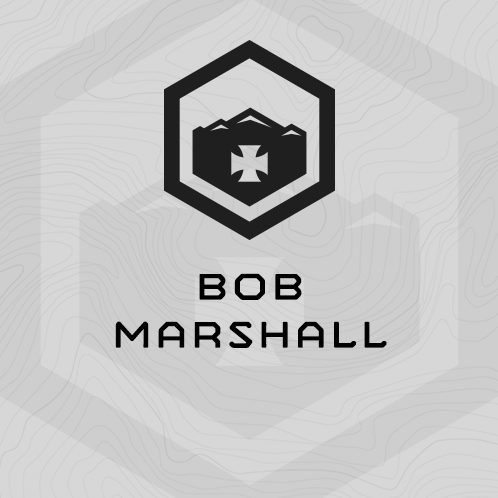 Bob Marshall is a balanced training cycle. This plan concurrently trains strength, work capacity, chassis integrity and endurance. Bob Marshall is the 4th Plan in our “Wilderness” Series for Game Wardens, Forest Rangers, Field Biologists, and other natural resource and wildlife professionals. Bob Marshall is a 7-week, 5-day/week balanced training cycle. This plan concurrently trains strength, work capacity, chassis integrity and endurance. This program is named after the Bob Marshall Wilderness in Montana and was built in November 2018. Bob Marshall deploys MTI’s TLU programming using barbells. TLU programming trains a total body, lower body and two upper body exercises each strength training session. You’ll train strength 2 days/week during this cycle. Bob Marshall’s work capacity efforts are 25-30 minutes long, gym based, and multi-modal (3 exercises). Trained once per week using ARTE circuits (Anti-Rotation, Rotation, Total Core and Extension exercise). Trained two days per week. Tuesday’s you’ll do either a 1.5 mile run assessment, or 800m interval repeats. Friday’s you’ll complete a 6-8 mile easy-paced run or trail run. Fully Equipped Functional Fitness Gym including racks, barbells, bumper plates, benches, plyo boxes, sandbags, dumbbells and/or kettlebells, 40# sandbag (women), 60# sandbag (men), Backpack with 25-pounds of loading. "1RM" = 1 Repetition Maximum - the most you can lift for 1 rep. Grind = Work Steadily, not frantically. Easy = you can speak in full sentences. Trail run if possible.